The Israeli military has moved resources and personnel up to the border with Lebanon, installing a barbed wire fence near the occupied Shebaa Farms area on Jabal Al-Shaikh (Mount Hermon). 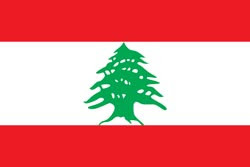 According to a Lebanese security source in Beirut, the Israelis have also sent pilotless drones as well as manned aircraft over Southern Lebanon, including the Beqaa Valley. The source added that several artillery shells were fired from the eastern edge of the occupied Shebaa Farms. No casualties were reported. “First a big caveat: the following comes from CNN, the world's farce leader, so take it with a quarry of salt. First a big caveat: the following comes from CNN, the world's farce leader, so take it with a quarry of salt. That said, CNN's household access is pervasive and when it comes to setting the social mood based on a news report, be it completely fabricated or not, the news organization is second to none. Which may be precisely why it is CNN that is reporting that in Syria - a place just itching for the proverbial match to be struck on a mountain of geopolitical gunpowder involving all the key actors: from the US, to Russia, Europe, China, and of course Israel, said match may have just been lit. To wit: "Syrian state-run television reported Thursday that forces loyal to President Bashar al-Assad killed three Westerners, including an American woman and a British national, who they claim were fighting with the rebels and were found with weapons and maps of government military facilities." Syrian TV identified the woman, releasing what it claimed were her Michigan driver's license and U.S. passport. It also released what is said was the name and passport of a British citizen. It did not identify the third Westerner. The TV report claimed the three were also found with a flag of the al-Nusra Front, an al Qaeda-linked group. The United States is aware of the claim that an American was killed and is working through the Czech Republic mission in Syria to obtain more information, a State Department official, speaking on condition of anonymity, told CNN. Citing privacy considerations, "we are unable to comment further," the official said." 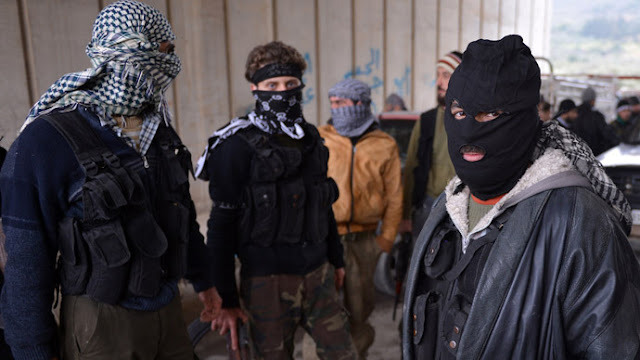 Why westerners were fighting the Syrian government alongside Al Qaeda "rebels" is not known. What is known is that tomorrow front pages across the nation will be blasting "American woman killed in Syria" and the ensuing thirst for revenge will be just the missing link needed by the administration, in lieu of having found no weapons of mass destruction, to escalate the conflict even further. Especially when the media helpfully reminds that as we reported earlier, Russia has already delivered at least one of the promised S-300 missile shipments to Assad. All the other details: those involving the true nature of the Qatari mercenaries posing as "rebels", the Al Qaeda links, the source of rebel armaments, the UN refutation of the WMD storyine, and most importantly, any mention of the Qatari gas pipeline access to Turkey which this is all about, will be ignored. Iran’s deputy foreign minister for Arab and African affairs says the Islamic Republic will not allow the overthrow of the Syrian government. Hossein Amir-Abdollahian made the remarks on the sidelines of the Friends of Syria Conference in the Iranian capital, Tehran, on Wednesday. The international event was attended by representatives from around 40 countries with the aim of contributing to a political solution to the foreign-sponsored crisis in the Arab country. “We will not allow the Syrian government to be overthrown. We strongly support the Syrian nation and government as well as the opposition that believes in a political resolution,” he added. Amir-Abdollahian added that Iran will utilize its experiences in the region to prevent the collapse of the Syrian government. 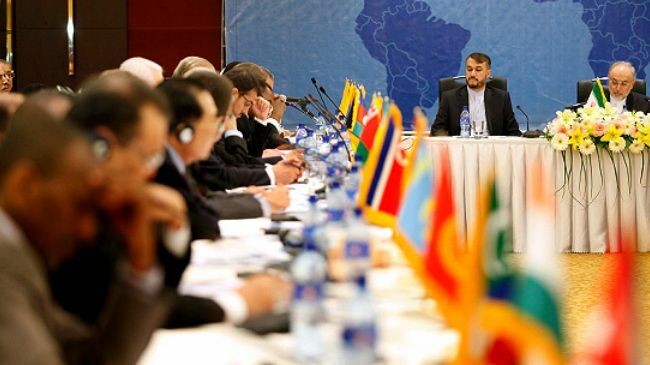 Regarding Iran’s participation in a forthcoming international conference on Syria in Geneva, the Iranian diplomat said the Islamic Republic has been verbally invited to the meeting, but not in writing. He said Iran will make a final decision on taking part in the conference after receiving a written invitation, adding, "During diplomatic talks, we have announced that because the focus of the Geneva conference is finding a political solution, we will consider any such invitation with a positive attitude." On May 7, Russia and the United States agreed in Moscow to convene an international conference on Syria, which will serve as a follow-up to an earlier Geneva meeting held in June 2012. Russia has highlighted the need for Iran's presence in the forthcoming meeting. Iran has repeatedly expressed its opposition to any foreign intervention in Syria's internal affairs, stressing that inclusive dialog and national reconciliation as well as free elections are the keys to resolving the unrest in the Arab country. 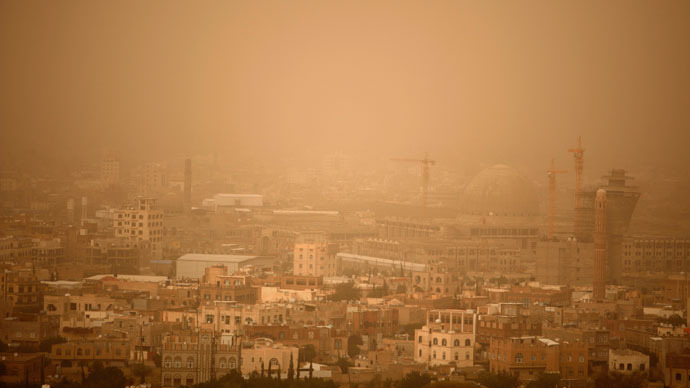 The crisis has gripped Syria since March 2011, and many people, including large numbers of Syrian security forces, have been killed in the unrest. No idea what the Arabic commentary is saying, but I can vouch for the Russian. "50,000 volunteers from Russia and Ukraine heading to Syria in supports of Assad"
The French Labor Ministry says the number of unemployed people reached a record high of 3.26 million in April. 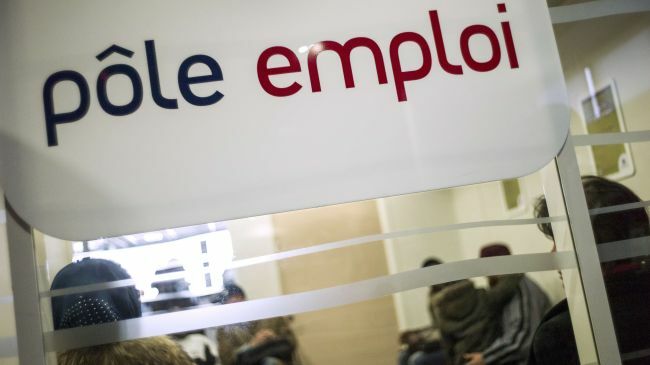 The ministry said on Thursday that the number of registered jobseekers in the eurozone's second-largest economy increased by 39,800 last month, marking the 24th consecutive monthly rise. The increase is equivalent to 1,326 new jobseekers per day and represented a 12.5 percent rise over a year ago. The previous jobless record in the country was in January 1997, when 3.195 million people were unemployed. The figures are considered as a major challenge for Socialist President Francois Hollande, who has pledged to curb the unemployment rate from the current level of more than 10 percent to a single-digit figure by December this year. Hollande's popularity, which had already been affected by the poor performance of the economy, is shrinking to record lows. In March, only 30 percent of the 1,000 people surveyed by the polling company TNS Sofres said they were satisfied with the president, down from the 35 percent recorded the previous month. Europe plunged into a financial crisis in early 2008. The worsening debt crisis has forced the EU governments to adopt harsh austerity measures and tough economic reforms. Syria's President Bashar al-Assad has warned Israel that it will respond in kind to any future air strikes. 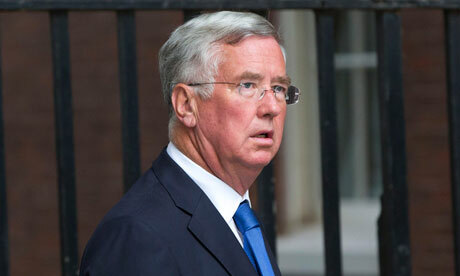 He also suggested Syria may have received the first shipment of an advanced Russian air defence system. 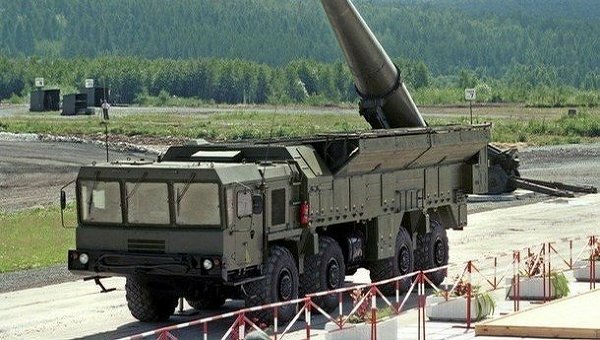 Israel has warned it would regard the Russian missiles as a serious threat to its security. 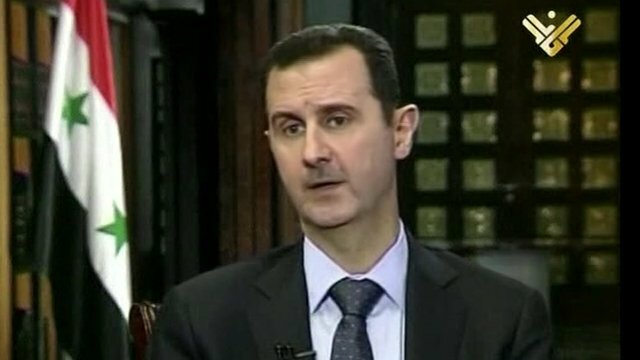 Mr al-Assad was speaking to al-Manar TV, which has close ties to the Lebanese Shia militant movement Hezbollah, a close ally of the Syrian government. Israel has carried out three air strikes on Syria to stop the transfer of advanced weapons to Hezbollah in Lebanon. "There is clear popular pressure to open a new front of resistance in the Golan," Mr Assad said. 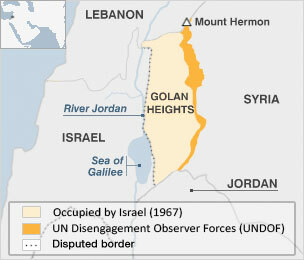 Israel has occupied the Golan Heights since the 1967 war. It annexed the territory in 1981, in a move that has not been recognised by the international community. Syrian shells have hit Israeli positions on the Golan Heights, though it is unclear whether they were aimed at rebels in border areas, and Israel has returned fire. Syria and Israel have been in a state of war since 1948 but the border had been relatively calm in recent years. Excerpts released from the al-Manar interview ahead of broadcast quoted Mr Assad as saying Syria had already received a first shipment of S-300 missiles from Russia. But in the interview itself, he said only: "All we have agreed on with Russia will be implemented and some of it has been implemented recently, and we and the Russians continue to implement these contracts." The S-300 is a highly capable surface-to-air missile system that, as well as targeting aircraft, also has the capacity to engage ballistic missiles. Ahead of the interview, Israeli government minister Silvan Shalom said Israel would "take actions" to ensure that advanced weapons did not reach groups such as Hezbollah, but there was no need to "provoke an escalation". He told public radio: "Syria has had strategic weapons for years, but the problem arises when these arms fall into other hands and could be used against us. In that case, we would have to act." The military chief of the main umbrella group of Syrian rebels, the Free Syrian Army, has accused Hezbollah fighters of "invading" Syria. In a BBC interview, Gen Selim Idriss claimed that more than 7,000 Hezbollah fighters were taking part in attacks on the rebel-held town of Qusair. More than 50,000 residents were trapped in the town and a "massacre" would occur if it fell, he added. Mr Assad also said Syria would "in principle" attend a peace conference backed by the US and Russia, if there were not unacceptable preconditions. The main opposition group outside Syria said it would not join the talks while massacres continued. Its interim leader, George Sabra, said talk of diplomatic conferences was farcical while Syrian government forces backed by Hezbollah were carrying out heinous crimes. The opposition has been meeting for more than a week in Istanbul to elect new leaders and devise a strategy. For his part, Mr Assad said it would not be surprising if the conference failed, and if it did, it would not make much difference on the ground, because what he called the "terrorism" of the rebels would continue. Russian, US and UN officials will meet next week in Geneva to prepare for the proposed conference in June. MOSCOW, May 30 (RIA Novosti) – Reports that Syria’s president had confirmed receiving a consignment of Russian-manufactured S-300 air defense systems emerged Thursday, but were quickly brought into question. Activists defy bulldozers to block demolition of city's 'last public green space'. Protesters are occupying Istanbul's Gezi Park to prevent a demolition of what many are calling the city's last green public space. 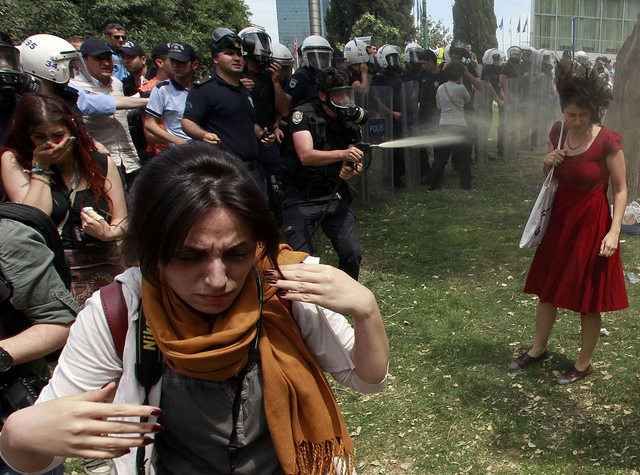 Hurriyet Daily News reported that early Thursday morning riot police set fire to several tents and used tear gas and pepper spray attempting to force activists out of the park. Activists are calling on thousands more to rejoin the protest. 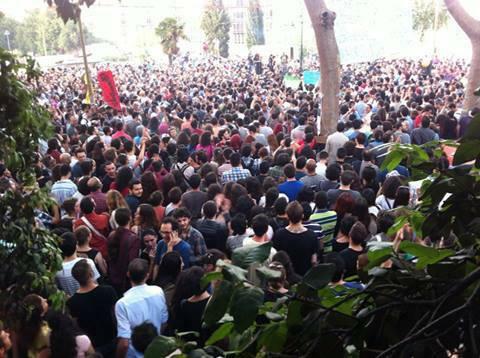 The demonstrators occupied the park on May 28 to prevent bulldozers from completing the demolition, part of the government's redevelopment plan for central Taksim Square. Goldman Sachs and UBS will lead a syndicate of banks collecting about £30m from the £3bn privatisation of Royal Mail. The government announced that it had selected Goldman Sachs, which has been accused of treating its clients like "muppets", and UBS, which was fined £940m for its role in the Libor rate rigging scandal, as global co-ordinators and bookrunners of the largest privatisation in two decades. As the lead banks advising on Royal Mail's sale the pair will collect the majority of the fees, understood to be set at about 1% of the target £2-3bn flotation value. Barclays and Bank of America Merrill Lynch will also collect millions in fees from more junior roles in the sale. The department for business, innovation and skills (BIS), which is in charge of the sale, refused to state how much the banks will collect in fees but said it had "negotiated very hard to get the best value for taxpayers". Banks can collect up to 2.5% for running flotations. A BIS spokesman said the banks had been selected because of their past experience advising the government on Royal Mail and declined to comment on the banks' roles in recent scandals. Michael Fallon, the business minister, said the banks' appointments "build momentum" for the sale, which he hopes to complete within a year. Fallon said a float in London, in which staff would be granted shares worth 10% of the company, was still the government's "preferred option" but insisted no final decisions had been made and other sale options "remain on the table". He has warned the Communication Workers Union (CWU) that the world's oldest postal service could be sold to sovereign wealth funds or other foreign buyers if the CWU continues to fight a flotation. Moya Greene, chief executive of Royal Mail, has taken the company on an investor roadshow in Canada and the US and said it would be "foolhardy" not consider the sale of the company to foreign buyers. If the flotation is successful it will be the biggest privatisation since the sell-off of the railways in the 1990s and Royal Mail will enter the FTSE 100 list of Britain's biggest companies. Royal Mail last week reported a 60% increase in pre-tax annual profits to £324m. Sales, which were boosted by a 30% rise in the price of first class stamps to 60p, increased by more than £500m to £9.3bn. Is anyone familiar with Potemkin villages? Hundreds of thousands of pounds have been spent on a Fermanagh facelift as the county prepares for the G8 summit in just under three weeks’ time, but locals complain the work paid for by the local council and the Stormont Executive is little more than skin deep. More than 100 properties within range of the sumptuous Lough Erne resort which hosts the world’s wealthiest leaders, have been tidied up, painted or power-hosed. However, locals say the makeover only serves to hide a deeper malaise which US president Barack Obama, German chancellor Angela Merkel, French president François Hollande and others will not get to see. Two shops in Belcoo, right on the border with Blacklion, Co Cavan, have been painted over to appear as thriving businesses. The reality, as in other parts of the county, is rather more stark. 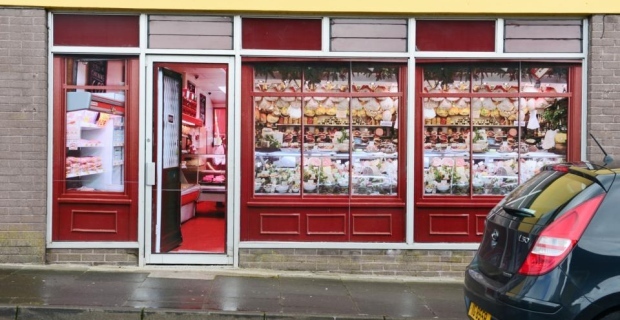 Just a few weeks ago, Flanagan’s – a former butcher’s and vegetable shop in the neat village – was cleaned and repainted with bespoke images of a thriving business placed in the windows. Any G8 delegate passing on the way to discuss global capitalism would easily be fooled into thinking that all is well with the free-market system in Fermanagh. But, the facts are different. Jim Sheridan, director of Belcoo Enterprises Limited, welcomes any attempt to tidy the area but laments the wrecking effects recession and the demise of the Celtic Tiger have had locally. All is paid for by so-called dereliction funding. About £300,000 was made available by the Department of the Environment and the Department for Social Development. A second round of funding is expected. Late last year the council wrote to the owners of properties in need of a facelift seeking permission for the work. The scheme was put together with the greatest haste to make sure the properties, mostly in Enniskillen itself, were authorised for improvements. Council chief executive Brendan Hegarty said at the time the initiative was “a phenomenal opportunity”. “We want to present the county as best as we can and promote it in terms of industry and tourism,” he said. The short-term beneficiaries were local builders and painters who were called in for the spruce-up. Even Enniskillen’s Clinton Centre, opened by the former US president on the site of the IRA Poppy Day bombing, has been given a cream makeover. For one local Assembly member, the cash injection is welcome but is no substitute for the investment the area needs. Phil Flanagan, a relative of the former owner of Belcoo’s butcher shop, says: “I’ve never seen painters as busy”. Russia opposes Obama on Monsanto?